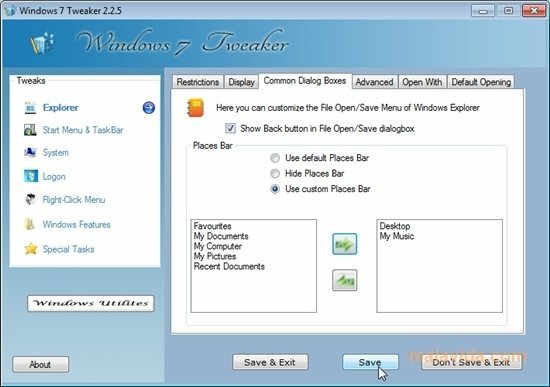 Windows 7 Tweaker will allow you to modify the different options of Windows 7 to your own liking with just a few simple clicks of the mouse. 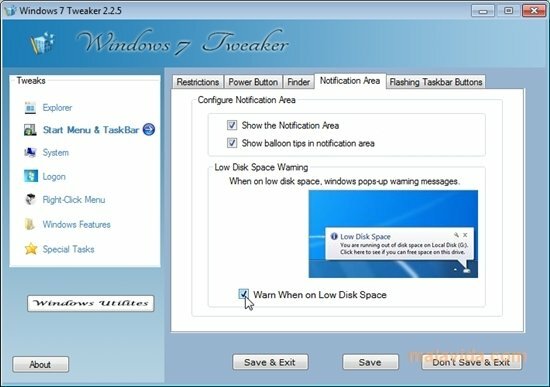 This application will allow you to carry out optimization, maintenance and adjustment tasks regarding the configuration of the latest operating system launched by Microsoft, Windows 7. This application is valid both for the 32 as well as the 64-bit versions of the system. Thanks to how it works, you will be able to modify the settings of the general power button, disable appearance themes, eliminate the sound, release free space on the hard drive, clean system files, apply restrictions and some more options that can be of great use to the users. The software doesn't require installation and allows you to carry out nearly 200 modifications in different parts of the system, therefore, there are many options available. 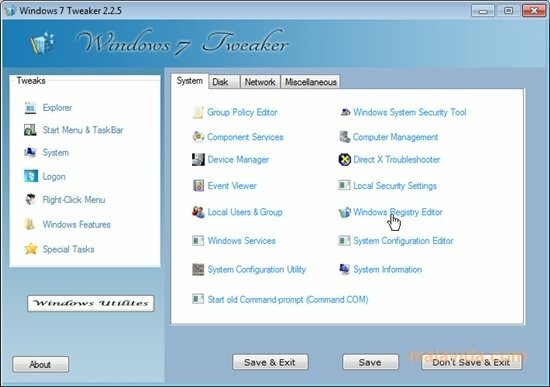 If you are looking for a software application with guarantees with which you can vary the configuration of Windows 7, try out Windows 7 Tweaker. This download requires that you have a ZIP compatible compressor. It is only compatible with Windows Vista and Windows 7.